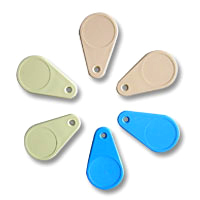 RFID (Radio-Frequency Identification) is a growing technology in Australia but still lags behind Europe and the USA by several years due mainly to demand and the huge difference in populations. However, Barcode Datalink has helped various clients in a range of environments trial or implement RFID technology. Put simply, an RFID chip is a "wireless barcode", meaning that to read a barcode you need line of sight. An RFID chip, you dont have to see it, just be close enough to read it. Here are a couple of scenarios where we have implemented RFID. Each contractor to the building site was issued with a credit card sized photo ID badge. Embedded in the plastic card was an RFID chip. In the past the card was printed with a barcode and the guard would scan it with a barcode reader. Now we could just swipe it, without contact in a variety of situations. Now the guard to read the card without contact up entry to verify the card and allow the contractor onsite. Secondly, if turnstiles were in place an RFID reader at the turnstile could allow access without a guard having to be there. Many people already have access control to their buildings and lifts using similar technology. We have just made it mobile. The mobile computer used in this solution was the Datalogic Jet with built in RFID reader, Wi-fi, GPRS and barcode scanner. Our customer provides nightly patrols of their clients premises. Basically they want to be able to provide their customer with a report of what locations their guard checked that night and at what times. There are many ways to achieve this. 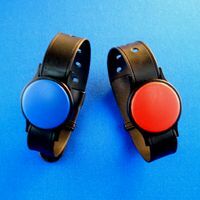 In the past security firms used Dallas buttons (a tag that the guard had to touch with his reader) and barcodes, which the guard had to scan with a mobile device. It was discovered that with mobile phones with cameras that the guard could take a photo of it and at a later time, reproduce the barcode so he could sit in the car and scan it without having to walk around. An RFID chip can't be reproduced since you have to manufacture the chip. A barcode label you can reprint anywhere very easily. So with an RFID chip in place, the guard can't copy it. Using an RFID paddle reader he has to scan it since the device doesn't have a keypad, so he can't find out the number and just type it in. (Another problem with barcodes). At locations that had to be checked that were glass, like building receptions and hotel lobbies, the chip was placed on the inside of the glass. The guard could scan the RFID chip through the glass. There was no way for him to tampering with it. This solution was more secure in terms of data collection that many other alternatives. One client gave each competitor a wrist band RFID tag (worn around the ankle). An antenna was placed on the ground at the finish line and the time was record when the athlete ran over it. It was a simple application with the data being saved to a database in real time. The antenna was connected to the PC via a serial communications link. By placing a mount on metal RFID tag on stainless steel trolleys we can track them in and out of the laundry. Using a mobile computer, such as the M3 from Mobile Compia, we can read the trolleys as we deliver them to hospitals and when we pick them up. The database is online and via GPRS we can send/receive data in real time. That means before we leave the hospital we can see what trolleys we have missed and are still to be collected. For more information on this solution click here. RFID - Is it right for you? 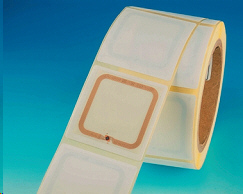 If you would like more information on RFID please give us a call (02) 9636 5299.